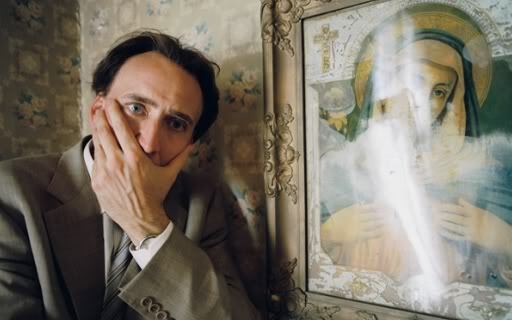 In the weird and wondrous “Bad Lieutenant: Port of Call New Orleans,” Nicolas Cage herks and jerks and cackles like a man possessed. Indeed, his character is in many unsavory ways possessed, ruled by fevered impulses and vexed by the clawing tug of his roiling id. In this woozy comic-drama, Cage, sweaty and inspired, plays the titular cop, a complicated man so unmoored and self-debased that the filmmakers seem to have sighed and shrugged, choosing simply to call him what he is: bad. It’s a silly thing to call him. “Bad.” Like he’s a bad dog, just sort of naughty. How about “Perverted, Crazy, Lawless Lieutenant”? Because this detective doesn’t merely do his duty, scouring New Orleans to crack a multiple-murder case. He has illicit habits, extracurricular sinfulness that he satisfies when not doing his job. Actually, the no-nos and the job frequently intermingle. Lines blur. Morality goes murky. A gun is useful on both sides of the law. There’s a certain humor to the title that the movie, despite being a gritty crime saga, is happy to indulge. Directed with mordant wit by Werner Herzog, “Bad Lieutenant” lurches from grimly intense to crackpot funny. It’s a strange affair — messy, profane, off-kilter and wildly entertaining. Herzog insists that his film is not a remake of Abel Ferrara’s notorious 1992 “Bad Lieutenant” (with Harvey Keitel) and blames the producers for retaining the almost identical title. It doesn’t matter, because Herzog and screenwriter William Finkelstein have forged a new beast with surreal flourishes and an entirely different performance from its lead. Where Keitel had a grounded, wounded ferocity, Cage twitches with maniacal laughter and bug-eyed line readings. While Ferrara’s drama was steeped in Catholic guilt and crises of faith, Herzog’s operates in a less structured world, a reckless, secular place where its tortured antihero grapples not with an inscrutable God but with his own crumbling sanity and addictions. The director wants to make sure we know this is freaky Herzogian territory: Snakes slither in flood water, the camera zooms into the hissing maw of an alligator and, for the heck of it, a dwarf passes through a scene. More to the point, Cage’s doped-up lieutenant experiences hallucinations of iguanas and the break-dancing spirit of a dead man, all of which make him, and us, laugh even more.